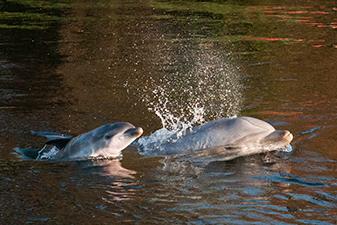 Yesterday a little dolphin was born in the Dolfinarium in Harderwijk, the Netherlands. Mother Maaike gave birth to a beautiful baby dolphin! It happened before the eyes of the visitors and crew.